I feel like I have said it a million times before but my dining room is quite long and quite narrow so it tended to look like a corridor. To make it feel like a room I have been trying to fill it up with art, photos and large furniture. I have also been trying to add more light to the corners which tended to look a little gloomy and dark at night. 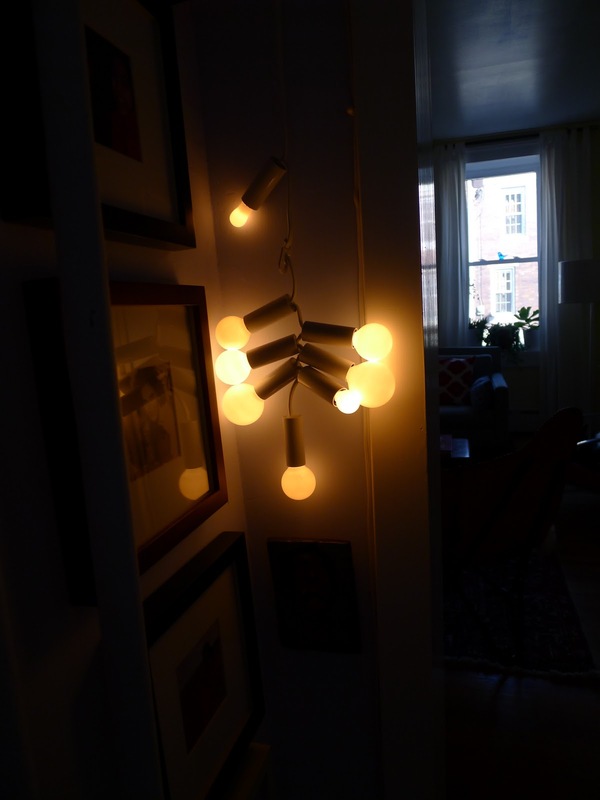 One of my latest lighting additions is this Patrick Townsend string light. Not only does it look fabulous but it lights up the row of photographs very nicely. I just realized that the photographs look really crooked! I wish I can just reach in and straighten them. 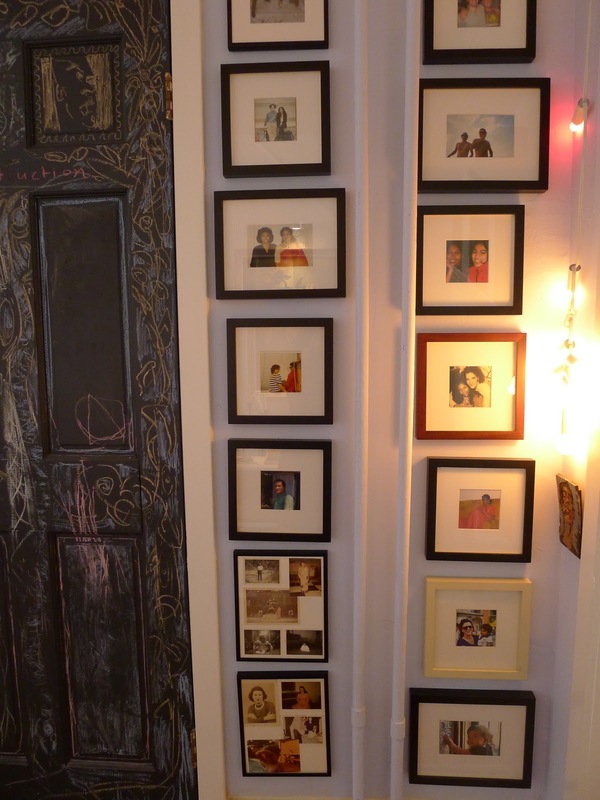 I created a collage of pictures at the bottom of the wall so that Kiran can see pictures of Scott’s mother (who passed away), Scott’s grandmother who he rarely sees, and my parents in Sri Lanka. He looks at them quite often and leaves his greasy fingerprints all over the glass! « The Coral Pendant Light is up!